Hope Marina was started over twenty years ago and has progressed into it’s current, state-of-the-art facility. We are located in Hope, Idaho on Lake Pend O’rielle and currently house an accessory room, full service shop, and docking facilities. 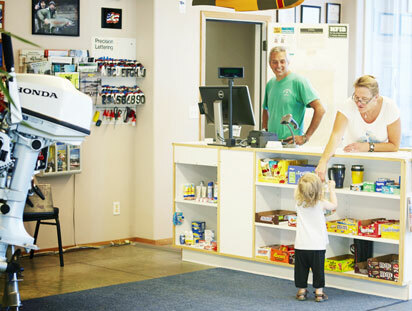 Our sales department represents Wooldridge Boats, Honda Motors and Volvo/Penta engines and we offer customer service like no other marina on the lake. Other services include: showers, laundromat, boat rentals, pump-out station, attended fuel dock, float plane accommodations, and, of course, the Floating Restaurant. Our commitment to you as a customer is to give you fast, courteous service and to make your visit to our beautiful lake a pleasurable experience.